Unknown to many visitors, the Casa Navarro State Historic Site was part of a vibrant San Antonio neighborhood that thrived for nearly 100 years after José Antonio Navarro’s death in 1871. Although Navarro’s historic home has seen many residents over the years – most had no idea that it once belonged to the Tejano statesman. Laredito was a well-established neighborhood by the twentieth century, with family homes spreading out across several blocks. Many small “mom and pop” businesses lined the unpaved streets, including grocers, merchants, printers, doctors, and lawyers. Central to this neighborhood was the newly constructed market house, which has been demolished. In 1910, a bloody, decade-long revolution broke out in Mexico. San Antonio absorbed many refugees fleeing the violence. During this time, a young couple named María and Petronilo Diaz left their home in La Barca, Jalisco, to live in San Antonio. A few years later, Maria became a widow. Left to raise her family alone, she persisted and made a life for herself in San Antonio. 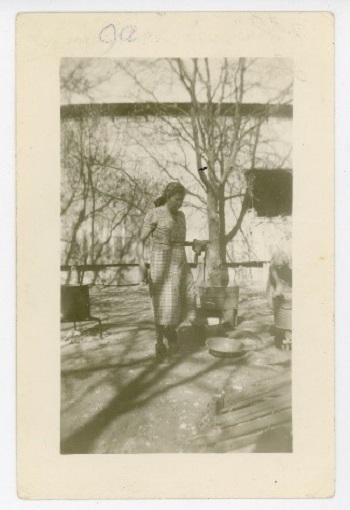 In the 1950s, she moved into a small adobe home on Nueva Street, now the kitchen building at Casa Navarro. Just west of her back door, the two-story adobe building was a bar and dancehall called El Jacalito. Across the street, María’s daughter, Elisa Diaz Sauceda, lived with her husband, Juan Sauceda. None of María’s family, and presumably few of the patrons at La Paloma, were aware that this compound of buildings was the one-time residence of José Antonio Navarro. María’s daughter and son-in-law had three children: Anna, Christina, and Hortencia. Casa Navarro staff met recently with Hortencia Sauceda to learn more about this previously unrecorded aspect of Casa Navarro’s history. The family only lived on the property a few years before urban renewal began taking its toll on the Laredito neighborhood. Entire blocks of homes were leveled and residents displaced as parking lots and new buildings were constructed, including the jail next door to Casa Navarro. 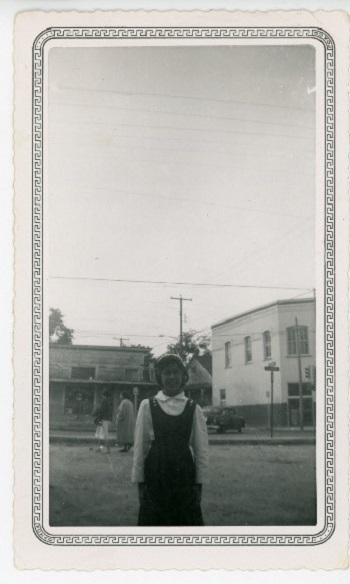 As the neighborhood emptied, Hortencia’s grandmother, María Diaz witnessed the destruction of the community around her. As the dwellings and small businesses surrounding Casa Navarro were turned into parking lots and stark buildings, she held out for nearly a year. Finally, with the neighborhood leveled, she joined her family at Alazan Courts. Casa Navarro was nearly destroyed during urban renewal. Thanks to the efforts of the San Antonio Conservation Society, Navarro descendants, and dedicated citizens, it was spared the bulldozers. Today it stands as a relic; more than the one-time residence of a Tejano statesman, it is also witness to generations of people who once called these walls home. Casa Navarro is located at the corner of S. Laredo and W. Nueva streets in downtown San Antonio, in the Texas Independence and Hill Country Trail Regions. Click on any image to view the photo gallery. 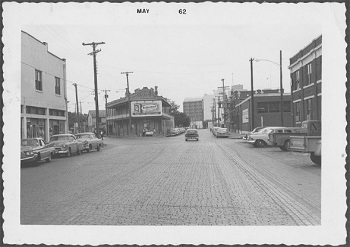 South Laredo Street at South Santa Rosa Street, May 1962. Casa Navarro and the new Bexar County jail are visible in the background. 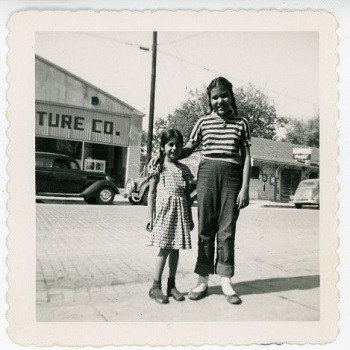 Photo courtesy of UTSA Special Collections.